Author Wendy Eckel, a veteran of Algonkian Writer Conferences, joined Author Salon in October, 2011, and worked closely with AS editors, including advisory editors Michael Neff, Penny Warner, and Ken Atchity, to hone her "social media cozy" novel, KILLER ON THE WALL, into a competitive manuscript that was signed by AEI FILMS AND BOOKS in Los Angeles in 2012, and sold to Thomas Dunne Books in 2013. Wendy Eckel's KILLER ON THE WALL, in which a woman sets out to solve a murder, and with the help of a Facebook group composed of amateur sleuths known as "The What Ifs," she begins the search for evidence and clues; after friending suspects on Facebook and working with a nervous programmer living in mortal fear of Mark Zuckerberg, she hacks into the dead girl's Facebook account and assumes her identity, only to discover a dark underbelly to what had originally seemed a charmed and effortless life, and THE DAY LILY CAFE, to Anne Brewer at Thomas Dunne Books, in a nice deal, for publication in 2015, by Ken Atchity and Michael Neff at Story Merchant (World Rights). After two months on Facebook, I had yet to post a picture or write what was on my mind. My profile didn’t declare my relationship status or where I lived because those things had recently changed, rather abruptly, but inspiration finally struck on a crisp cool day in October. I found a dead girl floating in the marsh behind my house. We have some initial assignments and readings for you, designed to introduce you to the realities of writing a publishable manuscript for a commercial market. Whether or not you are able to utilize all of the information for your particular project remains to be seen, however, you will definitely acquire useful craft and premise knowledge that might well take you in new directions. We hope that you will be open to learning and evolving both your project and your writing. For your first assignment, go to your nearest library or book superstore. Read the first ten pages of at least five new literary novels (no genre, i.e, SF, mystery, etc.). Once you've spent a few hours, take out a laptop, or sheet of paper, and note bullet by bullet precisely what the author did within those first ten pages to make the protagonist appear sympathetic, original and interesting. 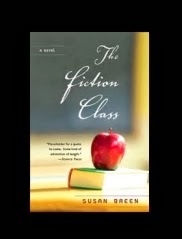 For your second assignment, examine the book jacket of each novel. Write the book jacket you would like to see for your novel (see your pitch model assignment upcoming). Ask yourself after you write it: WILL THIS MAKE SOMEONE WANT TO BUY MY BOOK? Note: limit the number of words to the average number you count on the jackets. Try to limit to 150-200 words. For your third assignment, you must read the articles below concerning important market issues and fiction writing elements that will be discussed at the event. 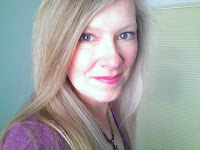 They are found at AuthorSalon.Com, a writer website affiliated with Algonkian Writers Conference events. Lois lives in southern Ontario, Canada, on a hobby farm, which provides great fodder for writing humour essays about a certain City Mouse surviving country living (think Green Acres), and it explains why she uses a "U" in humor. Several of her personal essays have appeared in anthologies, and many have won awards. Her most recent claim to fame is winning first prize in a national competition; the short story was subsequently published in "Never Trust a Smiling Bear - An Anthology of Canadian Humour." But she is also proud of receiving honorable mention in the Erma Bombeck Humor Writing Contest, with a touchingly funny article about the death of my father. In my 30s I finally picked up a pen and started to write a romance novel, and I haven't put the pen down since. I wrote two romances, two women's serious fiction manuscripts, and a ream of humorous personal essays. Now I'm on my second murder mystery (I'm seeing a pattern emerging). I honestly can't say why I am so comfortable with murder, and it should probably worry me a bit, but I believe I have found my niche. I still remember my essays, glittering with gold stars, pinned to the bulletin board in the school corridor for parent/teacher night, when the primary student talents were showcased. I had no idea at the time that I would be a writer; I was content to read under the covers with the flashlight on. I was in my teens before I knew that one day I would write a book, and while I waited for that moment to arrive, I read approximately one million novels (I exaggerate only slightly). In my 30s I finally picked up a pen and started to write a romance novel, and I haven't put the pen down since. I wrote two romances, two women's serious fiction manuscripts, and a ream of humorous personal essays. Now I'm on my second murder mystery (I'm seeing a pattern emerging). I honestly can't say why I am so comfortable with murder, and it should probably worry me a bit, but I believe I have found my niche. Right now I am reading LAMB by Christopher Moore, and THE DARK TOWER by P.D. James, purportedly the best murder mystery ever; I just finished THE SECRET KEEPER by Kate Morton, and my summer beach reads are MURDER ON THE HALF SHELL (Lorna Barrett) and EVERY TRICK IN THE BOOK (Lucy Arlington), two bestselling cozies. Once upon a time, Mr. Rochester and Jane Eyre, Heathcliff, the English moors, etc. kept me spellbound. Harper Lee's TO KILL A MOCKINGBIRD is probably my all-time favourite book - the world seen through Scout's once-innocent eyes, the tragedy, the poignancy--aahhh, I could go on too long. Le Carre, Grisham, Follett, Deighton, Ludlum, Michener (in particular) were favourites, but it was Sue Grafton's fresh voice, early in her series of Kinsey Millhone detective novels, that inspired me to write. DEATH AT IRON HOUSE is about a group of writers at a conference set in Smuggler's Notch, VA, where each takes on a different persona to play a murder mystery game. When a particularly unlikable literary agent turns up dead, the players regroup as three teams to try and solve a real crime. After all, as mystery writers they kill off people before breakfast -- they have a working knowledge of motive, means and opportunity, and they put these skills to work to find the killer before any more witnesses go missing. Since humour is my thing, the narrative tends to be both light-hearted and deadly serious. I visited Smuggler's Notch a year ago and the idea of setting murder mystery there came to me immediately. I trudged the pathways my protagonist trudges along, watched the mist settle around the Green Mountains like a soggy gray blanket, bought the T-shirt, the Vermont maple candy, and the Ben and Jerry's ice cream. Most of the characters were born right there in my hotel room. They followed me home and I have not been able to shake them. The first big challenge is in choosing the right path for my story to take. Being part of a critique group is helpful; the downside is that everybody has different suggestions (most of them good), and the story has the potential to go off in several different directions. It's not merely a fork in the road, it's a traffic circle. While it may sound pretentious to claim that my characters speak to me, there is a voice in my head (or an editor on my shoulder) that eventually nudges me in the right direction. The next challenge is in navigating the road to publication. It's a tough market to break in to, and it's all too easy to become discouraged, especially when you read the latest bestseller and it's widely acknowledged that the book is not very well written. It leaves one wondering what they have to do, exactly, to make it out of the slush pile. A: Is there any particular facet of the Algonkian novel writing program or courses that have helped you more than any other? If so, why? Learning and practicing the four levels of third person narrative POV had the biggest impact on my writing. The zoom lens effect of author POV/distant/close/first-close gives the narrative more depth and energy, allowing the reader to not only see what a character sees, but to get right inside their head and hear their inner thoughts--perhaps the ultimate show-don't-tell technique. My advice to aspiring authors is to read, then read some more, and when you're done with that, read some more. Recognize the tropes demanded by the genre and how the author makes them fresh and/or unique. And then, don't be in a hurry. Your first draft, even your third or fourth, is likely not the finished product. Look for ways to make your ms stand out from the crowd, because you will not break out by mimicking hundreds of novels that have gone before. I see these lists all over Facebook on a regular basis so, just for fun, and hopefully to help you, I compiled my own list. I swore I wouldn’t, but a respectable period has passed, about three years, since that vow, so I think I can break it now. Think less of me if you will. These are going to annoy you because most of them are deceptively simple. But, admit it, we often make life more complicated than it has to be so – trust me. You’re doing a lot of crap you shouldn’t and it’s unbelievably easy to fix in some cases. When someone doesn’t write well, I find it’s for two reasons: ego and ignorance. People who think they are amazing writers usually are not. Whenever someone tells me they’ve written an amazing story and they think the writing is really good, best seller material, I know eight times out of ten that I’m in for it as an editor. Ego. The ones who come from ignorance (untrained, unskilled) usually write stilted, often nonsensical (due to their use of a dictionary and thesaurus rather than writing like a real person at the conversational level), stale pieces because they want to be a Writer. 1) Read at least 10 books on craft before you do anything. Okay, this one isn’t easy. I tricked you. If you don’t have an MA/MFA in creative writing, if you haven’t taken at least 3-5 classes (not workshops, separate class series) on craft, or worked one on one with a writing mentor or editor, if you haven’t read at least 10 books on craft, then I’m here to burst your bubble. So pick whichever books you want but make sure to cover plot, structure, dialogue, character, voice, point of view, and editing/revising. "How To" books with examples and details and exercises, not just ones that are vaguely inspirational or philosophical about the art of writing. Also include some writers' journals/notebooks from classic writers as well as contemporary. And Strunk & White’s The Elements of Style. Everyone will have their opinion about the best books to read and it’s a deep well. No time to go there here, so feel free to post the book you feel helped you the most and why in the comments. As you’re reading, make notes as they relate to two things: a) the story you want to write (whether short or novel) and b) your writing in general - mistakes you see yourself making, things you want to try, ways you can improve, plot and character ideas that will pop into your head. Be honest with yourself. It will save a lot of time. 2) Kill the adverbs. I still see books on the NY Times bestseller lists or on prominent tables at Barnes & Noble dripping with them. No, I’m not contradicting myself. It’s a sign of poor writing and poor editing, period. You are a writer. Adverbs are a shortcut. Writers are not allowed to take shortcuts. You’re the writer; if you can’t find the words to describe something without using an adverb, why bother writing at all? They are the equivalent of serving cardboard for dinner. They usually do nothing for a sentence. There can be exceptions, but practice this tip first, for a few years, then we can talk. 4) Ellipses. These, as an editor, drive me insane, I have to say. Dialogue trailing off into ellipses. Huge no. Colossal no. Again, you’re the writer. The reader wants you to fill in blanks, to say or not say the things they should say or bungle saying for them. Take risks. There’s a limit to how ‘real life’ a reader wants it. If your character isn’t sure how to answer or what to say (because you have a good reason; there needs to be one), have them think what they’d like to say or change the subject or act, move, gesture, send a message with their body language or facial expression. Whatever you decide, it has to have a real purpose. To mean something. To advance the story, create conflict, or develop the character. These goals should be on your mind at all times. 5) Part two of the above is wasting space and time with boring everyday dialogue like “How are you?” and “Well” and “Um” and “What would you like for dinner?” and “Yeah, I know”. Use your words and your silences as a strategy. Listen to your mother (with a twist): if you don’t have anything to say that moves the story along, don’t say anything. Withhold, for instance. Force yourself to read Henry James if you don’t already love his work. His nickname was “The Master” and he is. One of the things he’s the master of is the unsaid. Get to know this important tool in your craft toolbox. 7) Zero thematic, figurative, symbolic level to the story. Little to no figurative language (metaphors, similes, allusion, hyperbole, personification, to name a few). This is why writing is hard – you need to be thinking about your book at many different levels, not just the quality of the writing, but your overall theme, structure (and all that goes with that – pacing, rising action, arc, climax, resolution), plot (as a whole and at the level of the scene), character (development, arc), and the figurative/symbolic level. No figurative language or symbolism, no attention to theme, makes a book one, maybe two dimensional. It can move quickly, but it might never lift off the page. Writing at these levels is your subtext, written in a sort of invisible ink for the reader to discover. There’s nothing a reader likes more than finding clues to develop their understanding of a story or character. It makes them feel smart, like good readers. It creates an intimate bond between them and you (in the reader’s heart and mind). Like you placed it there just for them to find. Don’t overdo it. You can certainly vary your metaphors, I don’t mean every single time a certain character is present you always use smoke metaphors or bell metaphors or the character literally always encounters smoke or hears church bells or something. That’s like a bad joke that your spouse tells at every party or something. A bad pun. Cringeworthy. Again, use as a strategy and be subtle! Do not rely on metaphors to be the spark in your writing. They are easily overused. 8) Verb tenses. It’s pretty simple: If your story is in present tense your flashbacks or mentions of things in the past are past tense. If you’re writing in past tense, flashbacks or mentions of past events are in past perfect using ‘had’. The trick with a flashback is to use ‘had’ two or three times, then switch to past so the flashback will feel immediate, then switch back to ‘had’ for the last couple of verbs to exit and remind your reader of the time shift. 9) Grammar. Learn it. Here’s some help (or buy the book of your choice): http://writerswrite.co.za/51-grammatical-terms-explained. And punctuation. Learn how to use a semi-colon. How to punctuate dialogue (open any book and there’s your tutorial. It’s not that hard, but I see this issue in just about every manuscript). Use a serial comma. You get 3 exclamation points for the book (poet Edward Hirsch says for your whole writing life, but I’ll let you slide a bit there). Use with care. Reread #3 and #4. 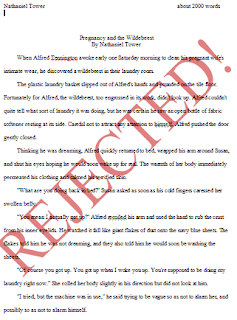 10) For the love of (insert deity of your choice), please format your manuscript properly. Start from the moment you write. Do not write single-spaced stories and convert them. 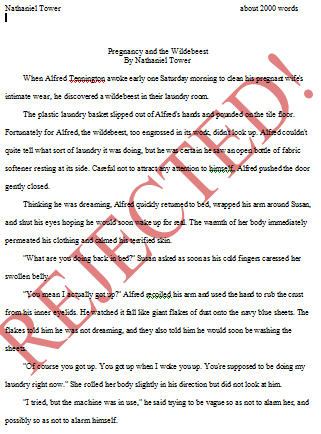 They will not truly be formatted properly and may revert back to single-spaced in places when printed. Here’s how your manuscript should be formatted. BONUS: Unlike cleaning before the maid comes, do clean up your manuscript yourself before you send it to an editor, whether of a magazine, one you’ve hired, or with a publisher. You need to see the mistakes you’re making for yourself and fix them yourself. You won’t learn if someone else does it all for you. It's inevitable that you'll miss some or something will need correcting, and that’s where an editor comes in. Do a spelling, punctuation, and grammar check. Read for typos, for continuity of character names, descriptions, time, objects (cars, furniture, cities), pronoun use (make sure they are referring to the person you think you’re referring to). Format your manuscript. This is all so obvious, but how often do you make obvious mistakes? How thorough are you, really? Speaking personally, I don’t work with people who aren’t interested in learning and improving their writing. If I receive a manuscript that’s a mess in terms of the basics, I turn it down. If you can’t be bothered to handle them, just hire a proofreader, self-publish, and send the Amazon link to your parents. 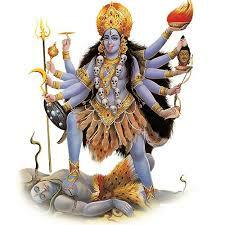 For those of you who mean business, picture yourself as Mahakali (above) with ten arms (and legs, I spared you the legs; that’s just creepy) and you have a metaphor for the number of virtual hands you need for the threads you’re weaving—or tossing balls in the air, so to speak. For all the big and little details and levels editors are reading for in your manuscript and possibly finding it lacking. Robert McKee on "Introducing Characters in a Screenplay"
It's worth hearing Bob any time of day! Brittany Hughes graduated from the University of Washington with a Bachelor's degree in Creative Writing, and subsequently earned a Masters in Teaching. Although raised in the Emerald City, Brittany recently spent two years living in the Midwest, a landscape that inspired the setting of her novel, "Breaking Clay." With past experience volunteering within underprivileged communities, she was surprised to find the level of impact her travels through the hills of West Virginia had upon her. Witnessing the spread of current-day poverty led to the birth of her novel. Brittany now lives with her husband, and Westie, in Seattle, where she is the administrator of a financial planning firm. When not shuffling papers, she spends time writing and seeking inspiration. She is also training to run a marathon, all proceeds going to the underprivileged of the community. AS: Tell us something about yourself as it relates to your writing life. Also, what inspired you to begin the novel? The story goes (as told by my mother) that at a young age I picked up a book and began to read without prior instruction. The freedom and passion I have always felt when holding a book is the same felt when holding a pen and creating a world filled with people I can allow myself to believe exist somewhere. I consider myself fortunate to have been raised in the Pacific Northwest by parents who provided me with opportunities to succeed. However, this upbringing must have made me somewhat naive because while visiting my husband's family in Logan, West Virginia, I was astonished to discover the poverty in which much of America still lives. It was then I was inspired to tell a story based on a population bound by circumstance and the motivation needed to break free. AS: Who are you reading now? Which authors and novels have been an inspiration to you, and why? I am currently reading Elizabeth Brundage's A STRANGER LIKE YOU and Jodi Picoult's THE STORYTELLER. TO KILL A MOCKINGBIRD is a novel I have read half a dozen times and am likely to pick up again... and again. Lee's manner of filtering the darkness of racism through Scout's innocent eyes touches me each time. In the writing of my novel, I am inspired by Daniel Woodrell's WINTER'S BONE and Barbara Kingsolver's FLIGHT BEHAVIOR. Both deliver strong and authentic portrayals of one's survival instinct and humanity's ability to rise above even the toughest of circumstances. AS: Can you tell us about your novel? Set in the small Appalachian town of Logan, West Virginia, BREAKING CLAY is about transcending the life into which one is born. At the heart of the novel is the relationship between a young woman and her grandmother, one who passively allows generational poverty to direct the course of her life, the other who lives within the bounds of circumstance but does so with reason and purpose. BREAKING CLAY delves into topics of elder abuse, the human need to protect the ones you love, and the life-changing power of faith in oneself and others. AS: What gives you a passion for this story and why are you the one who needs to tell it? It is difficult to trust that others will care for the people you love as you do. I feel a certain level of desperation each time I leave my grandmother's nursing home, entrusting her safety to the nurses and doctors. What would I do if she was mistreated? What would I do if circumstance inhibited me from protecting her? Before BREAKING CLAY was even a concept, I had pondered these questions. When I came face to face with the disheartening financial reality in which many Americans exist, the two concerns came together to form the plot of my novel. I am passionate about this story because it is heartbreaking in its realism--it may be a work of fiction with characters my mind has formed, but many of its themes are sadly real. My desire is that in writing and publishing this story, those who need hope will find it in the overall message of transcendence. AS: What have you found to be your biggest challenges to writing a successful commercial novel? My biggest challenge has been maintaining a consistent writing schedule while balancing work, family, recreation (the list goes on). I find myself writing "when inspiration strikes." This is a challenge I need to overcome, and fast. I look forward to the day that writing BREAKING CLAY is my full time job but I realize there will always be other responsibilities that pull at my attention so it is important to not wait until tomorrow to establish a writing routine. AS: Is there any particular facet of the Author Salon novel writing program that has helped you more than any other? If so, why? How would you review it? I attended an Algonkian novel workshop where I discovered I 'd written a character-driven novel filled with very little plot. Unfortunate, though not irreparable. Immediately, I joined Author Salon, and it has been eye-opening. In a matter of weeks I had created a plot with twists and turns, action, and theme, as well as characters with more history and arc. The design of the modules force you to do so. I had not expected that strengthening the depth of my characters' lives both past and present would so naturally work to form plot. Module 6-8 (6-Act) then created a visual image of my novel as a whole that helped me ensure I had the necessary elements for a publishable novel. I was also surprised how helpful Module 2 (Antagonist) was in developing strong plot line. By fleshing out an antagonist, and an in-depth backstory, the overall plot was transformed. Previously, I had placed much higher importance on the protagonist, but have since learned to value the incredible role of a story's antagonist, especially since he or she provides the lifeblood of an interesting story: conflict. My plot was further developed as I made my way through Module 4 (Protagonist). AS: What bit of advice can you give to other aspiring authors just getting started? Write about things you care about. Think of hour-long conversations you've had with your family or friends: what had you so passionate you didn't want to stop talking? This is the basis of the story you are meant to tell... but it is only the starting point, you can't stop there. Readers will not keep turning pages simply because you care about something--you must make them care too. And that takes well-developed characters, frequent and well placed action, and a lot of creativity. Isabelle Allende Says Craft Cannot be Taught? Huh? Isabelle Allende says writing technique, e.g. like suspense, cannot be taught. We at the Writer's Edge say NONSENSE. Is darling Isabelle wrong? Or does she know something we don't? Comments welcome. Do you wish a review of your short story or flash fiction? Do you need to discuss the reality of the market, or your novel project, plot and characters, or perhaps get feedback on the opening hook? Or would you simply like a relaxed and productive dialogue about your goals as a writer? Steinbeck found the material for his dozen volumes of California fiction in the Salinas and neighboring valleys, along the shores of Monterey Bay, in the Corral de Tierra, and on Big Sur. Even the Monterey sunsets illuminate the secrets of Robert Louis Stevenson's "Treasure Island" which served as a stage for the lives and times on which Jack London and George Sterling composed their allegories. 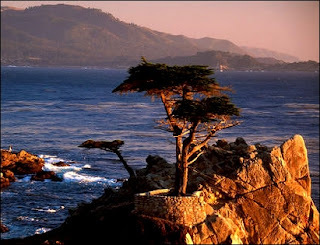 Don Blanding, Henry Miller, Mary Austin, Ambrose Bierce, Upton Sinclair, Sinclair Lewis, Nora May French and countless others have nurtured their creative intellect here for years on end, all of them fondly recalling their Monterey days in the years to come. In keeping with their spirit, and the spirit of the place, you can be as goal-focused at this unique retreat, or as hesitant in approach as you wish. You can show us your manuscript, improve your skills, clear your head, have your work read by our onsite writer mentors, whatever works for you, whatever helps you grow and find your vision as a writer. You discuss with us ahead of time via the Monterey Writers Retreat Application about the goals you wish to focus on, and we'll work with you to make it happen. Do you desire a review of your poetry, or poetry collection? A review of your short stories or flash fiction? Do you need to discuss the reality of the market, or your novel project, plot and characters, or perhaps get feedback on the opening hook or a sample chapter? Or would you simply like a relaxed and productive dialogue about your goals as a writer? Three of the best developmental editors (two of them agents) in the biz--Caitlin Alexander, Paula Munier, and Michael Neff of Algonkian Writer Conferences--will be available from 8 AM to noon each day of the retreat for one-on-one sessions with writers. Attendance and focus will be up to each individual writer. Mentors will also schedule, as needed, up to four more hours during afternoons and evenings for further one-on-one sessions, as well as any ad-hoc workshops the writers may desire.